There's nothing convenient about not feeling well. Aches, pains, and illnesses can strike you or your loved ones at any time, and when they do, you just want to find relief — and fast. Thankfully, relief is just around the corner at your local Dan's Supermarket store with TopCare. So when you need a little TLC, you don't have to drive around town from store to store. 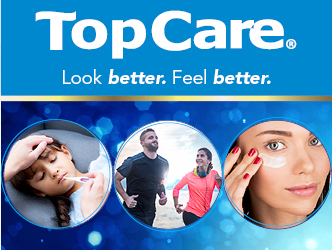 TopCare has everything you need in just one stop! With TopCare and Dan's Supermarket, you'll be in and out and back on the road to well-being.